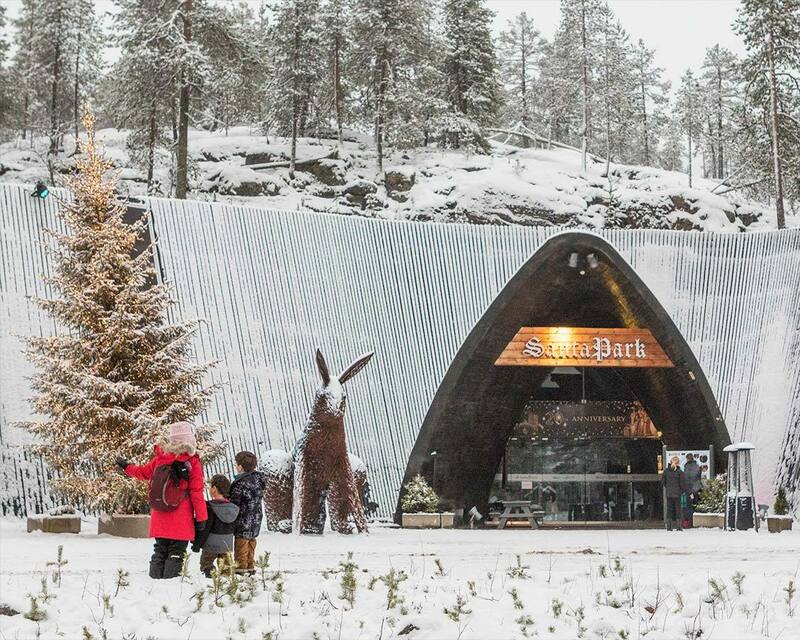 Santa Park Arctic World is a theme attraction in Rovaniemi Finland. 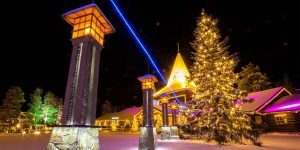 If you LOVE the idea of spending Christmas in Finnish Lapland, you will probably end up at Santa Park Rovaniemi. We originally heard about Santa Park when we were looking up this incredible hotel but ended up being so amazed by what this Christmas attraction had to offer that we had to check it out. And I’m glad we did. 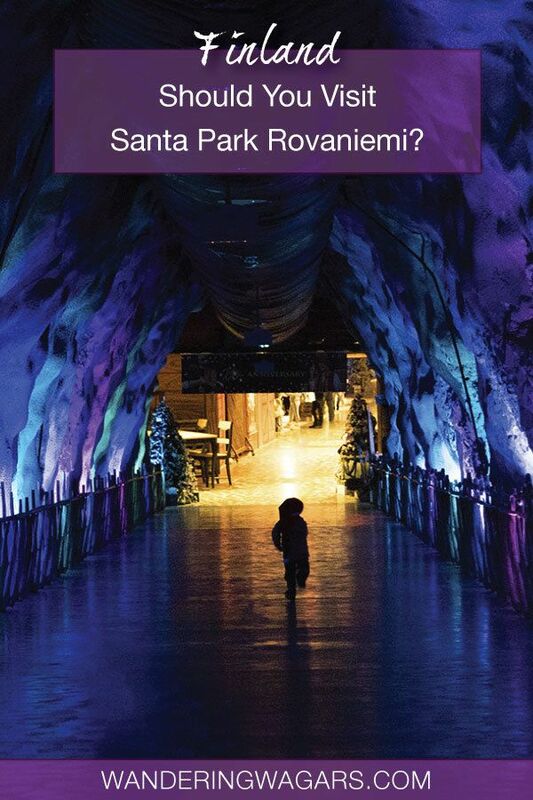 What Is Santa Park Rovaniemi? How To Get To Lapland Santa Park? Is There Food At Santa Park? How Much Time Do You Need To Spend At Santa Park? How Much Does It Cost To Visit Santa Park? 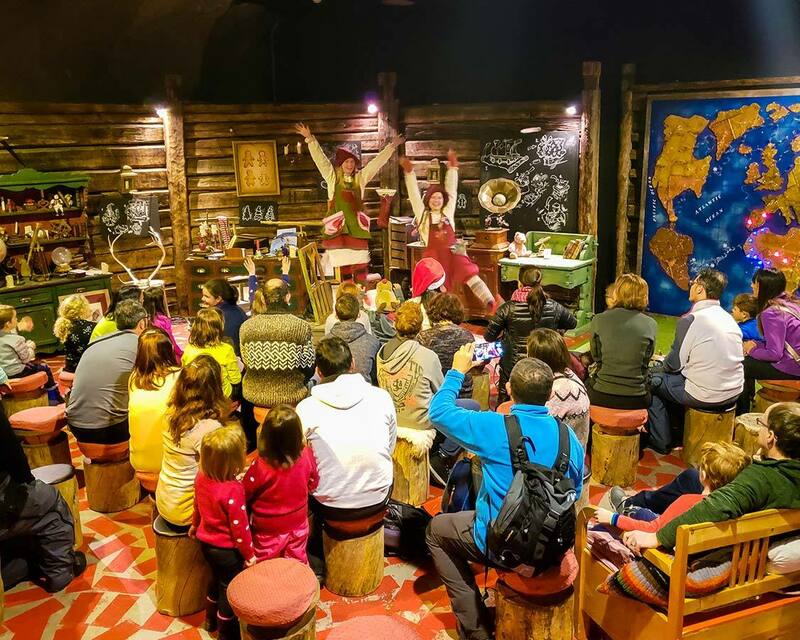 Where nearby Santa Claus Village is billed as the “official home of Santa”, Santa Park Arctic World is the hidden underground workshop where Santa’s elves build toys for children around the world. 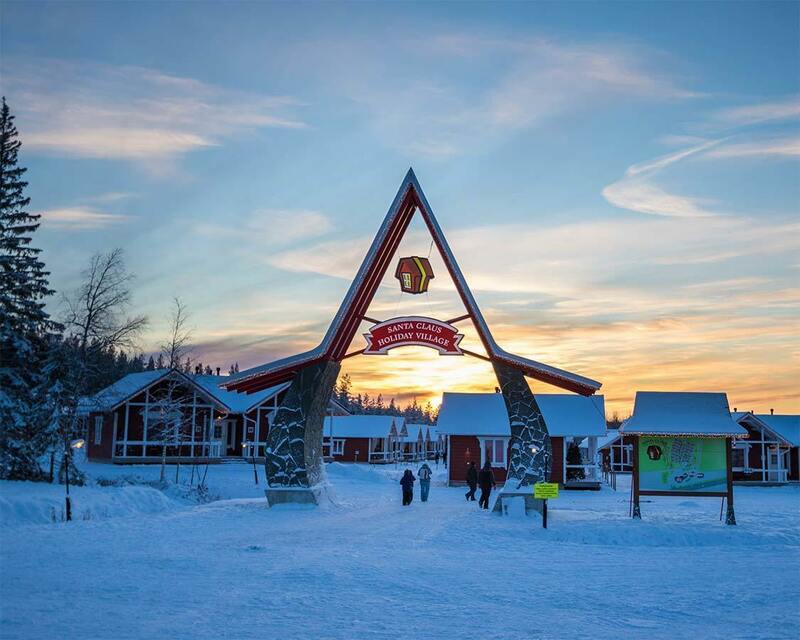 Santa Park is just minutes away from Santa Claus Village and the city of Rovaniemi Finland in southern Finnish Lapland. 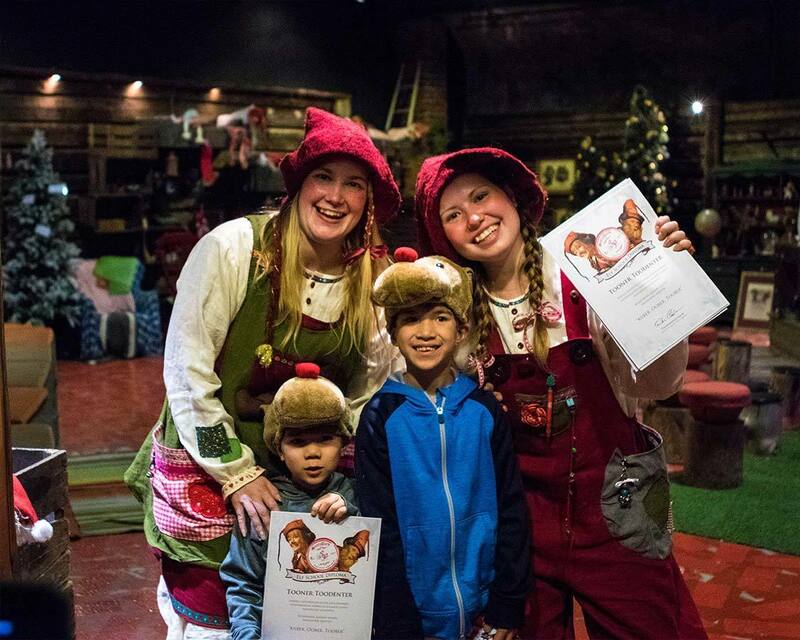 While Santa Claus Village is a pay-per-attraction experience, Santa Park works on a single entrance fee of 34,00 €/adult, 28,00 €/child (3-12) that gives access to nearly all of the things to do in Santa Park Rovaniemi. Children under 3 have free entry to SantaPark. Santa Park tickets are valid for 2 consecutive days. So, if you don’t feel like you had enough Christmas fun the first day, you can always come back for more. For those having a short stay in Lapland, Santa Park is conveniently located within a 10-minute drive of the Rovaniemi airport. You can get to Santa Park from Rovaniemi by #8 bus from within the city of Rovaniemi. You can find the bus schedule to Santa Park here. 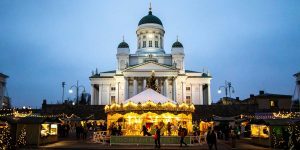 Alternatively, you can catch a ride on Santa’s Express which shuttles between the Rovaniemi airport, Arctic Treehouse Hotel, and Santas Igloos Arctic Circle. You find the Santa’s Express shuttle schedule here. Santa Park is an indoor attraction. In fact, from the entrance, visitors to Santa Park start heading deep underground along a magically lit corridor toward the ticket booth. The ticket area has washrooms and a coat room to shed your heavy winter gear and enjoy the warmth of Santa’s workshop. The tunnel continues on towards the circular corridors that make up the Santa Park attraction. Pay special attention to the shadows on the wall along the way. You may notice elves dancing and playing along the way. Once we reached the bottom of the tunnel, the magic really started. Santa Park has a center area with a stage, bar, and cafeteria. From the stage area, two wings branch off that are packed with the coolest things to do at Santa Park. 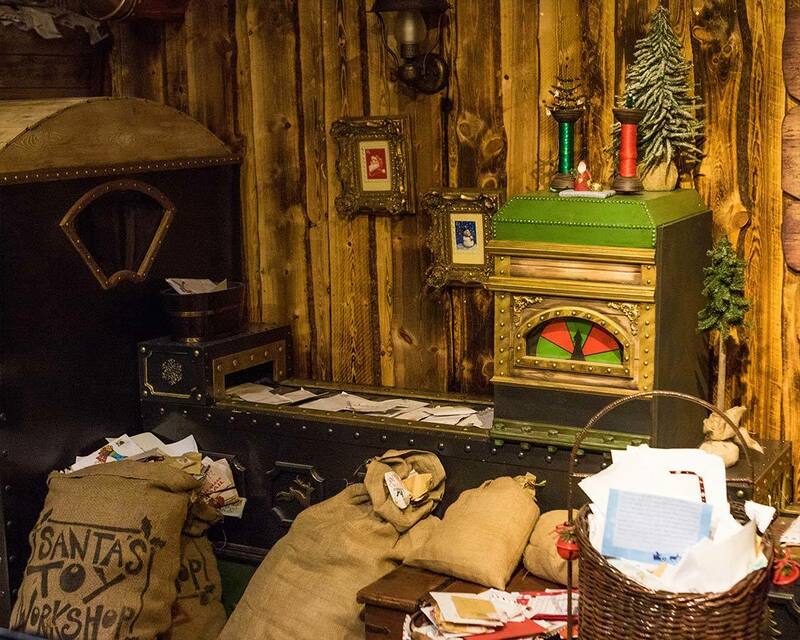 Santa’s Office is the star attraction of Santa Park. This is where you get to meet Santa himself inside his home cavern. Similar to Santa Claus Village, where we had our Santa experience, visiting Santa’s office at Santa Park has no additional costs to it. However, you have the opportunity to purchase the photo’s from the experience. Santa’s Post Office is situated right near the magic tunnel. Here, we were able to send letters with an official Arctic Circle postmark. The Santa Park post office is beautifully decorated, although a bit small. This is a great way to spend a special letter home to friends, or even your children. Santa Park features the Magic of Christmas show several times per day at the main stage. 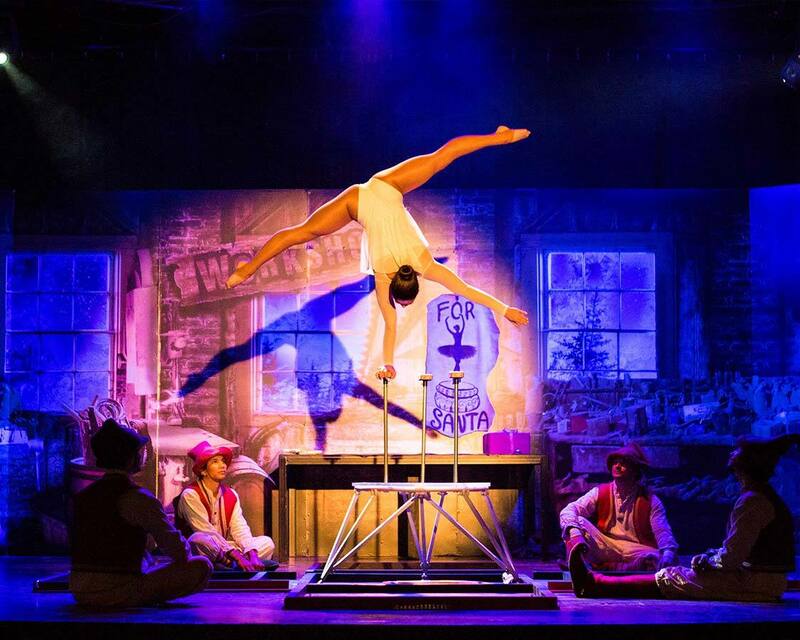 The shows often feature incredible acrobatics, beautiful lighting, and fun, engaging characters. While we were there, the Magic of Christmas show featured a contortionist acrobat. The show was beautiful, thrilling, and the cast had the audience completely under their spell. After the show, the cast of the Santa Park show joins the audience for high-fives and photos. The Magic Sleigh Ride at Santa Park surprised us. 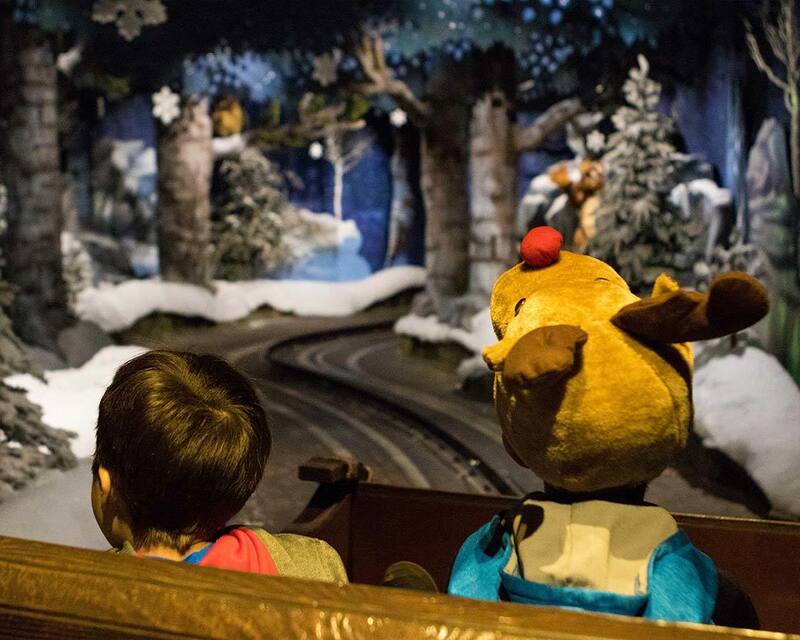 It’s a cheesy ride through some colorful displays of Santa’s workshop. Elves working on toys and getting into all sorts of mischief along the way. But our boys were completely enthralled by the experience. What seemed like a goofy attraction ended up being something they asked to go on again and again. The Angry Birds activity area connects the upper play area of Santa Park with the lower dining area and stage. The activity area combines slides, games, and activity areas that can make it hard to drag kids away to experience the rest of the Lapland Santa Cave. Elf school is always in session at Santa Park. 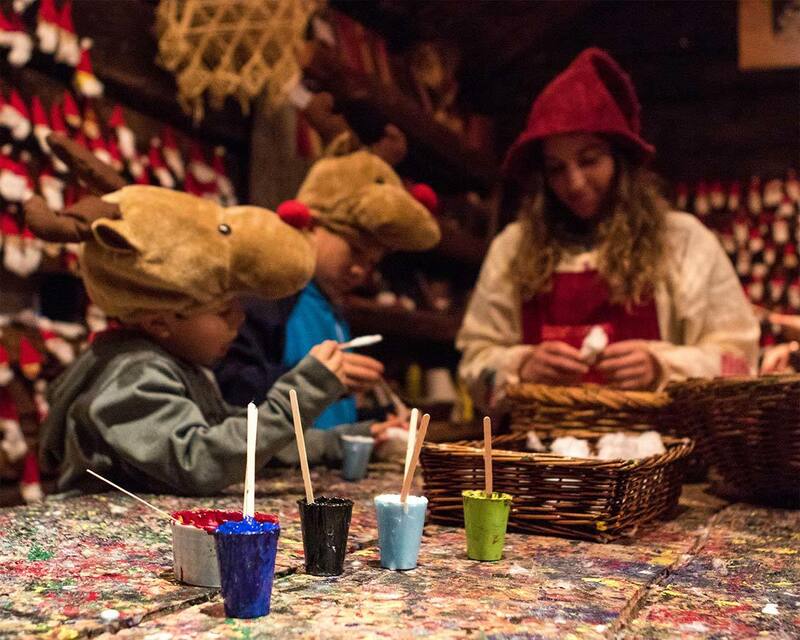 This attraction lets visitors take part in a crash course to be one of Santa’s elves. The multilingual elves show off what is involved in being one of Santa’s elves, including a little elfish magic. They even touch on how Santa delivers presents so fast. At the end of the course, students are given a diploma and their own Santa hat. The Ice Gallery was a real thrill to visit. This frozen room features ice sculptures and ice furniture for lounging. Adults can also purchase a drink at the ice bar. 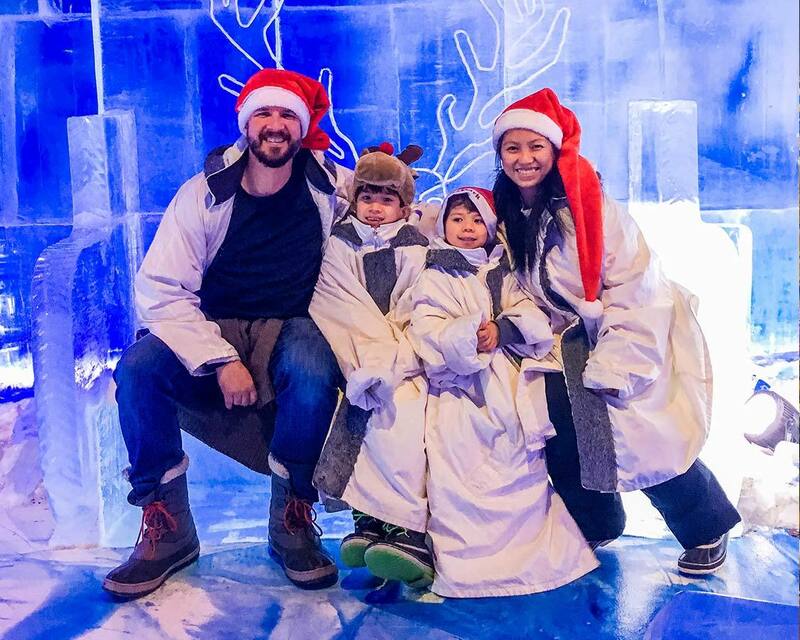 Our children loved getting a visit from the friendly Ice Princess who wanders in and out of the Santa Park Ice Gallery. 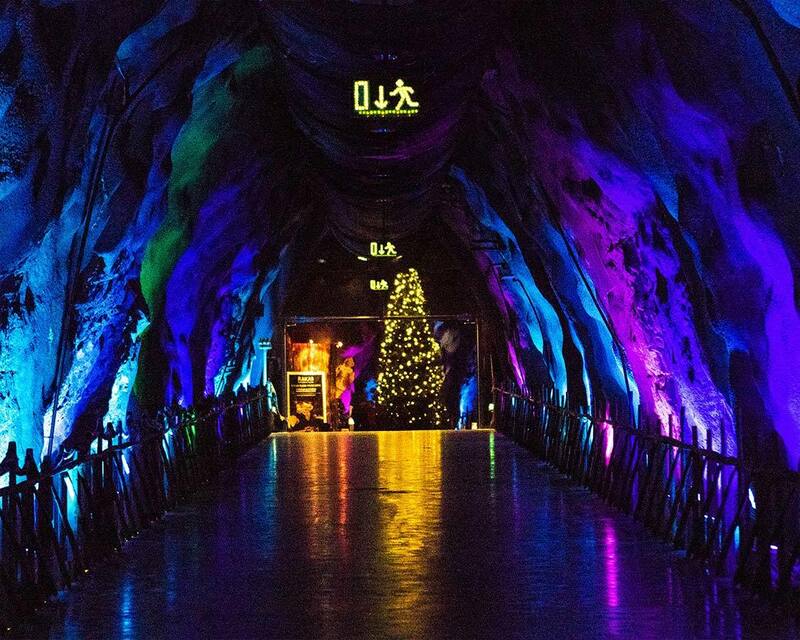 Santa Park calls itself the only place in the world where you can cross the Arctic Circle underground. The line is marked by a stone arch near the Ice Gallery. And, every few minutes the Arctic Circle arch releases some “snow” which our boys loved running through. 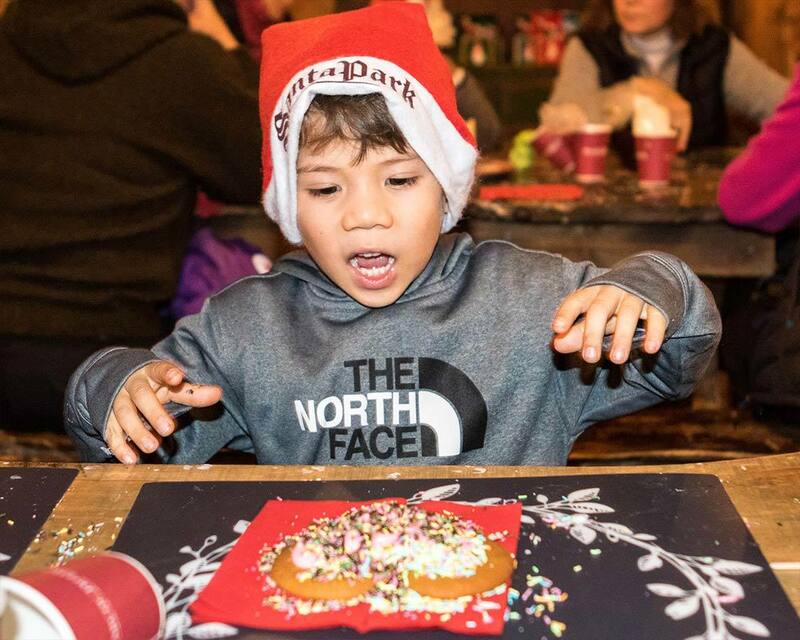 There is no more delicious attraction in Santa Park than the Gingerbread Bakery. Here you can purchase a gingerbread cookie from the bakery and decorate it with copious amounts of sprinkles, icing, and toppings. The gingerbread making props also make for a cool Instagram background for those looking for the perfect shot. On top of all of the other things to do at Santa Park, there are also many art and craft stations to help keep children’s attention. Children can play with putty, build miniature elves, and even write letters to Santa or to friends back home. Be careful though, all of these crafts can add up to a lot of stuff to take home! Santa Park Rovaniemi is a lot of fun to visit, especially for kids. Parent’s may not get as much out of the experience, but, if you love seeing kids run around with huge smiles on their faces, this is one of the best places to go. The elves at Santa Park are true pros. They never broke character and engaged with our kids at every opportunity. Even when they were working in the shops, they wouldn’t hesitate to stop, take a seat, and chat with our kids for as long as they could. 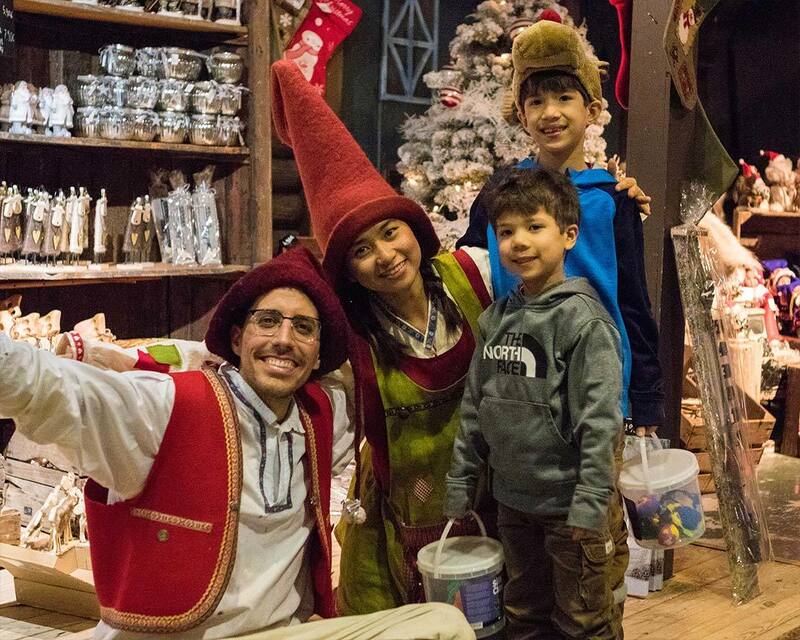 In fact, we even ran into one of the Santa Park elves the following day at Santa Claus Village (in costume luckily), and even there he chatted with the boys like nothing was different. There is a small cafe with coffee, sandwiches, and snacks. There is also a buffet that is offered during the afternoon. The food is traditional Finnish food and is quite good. Santa Park can be an extensive attraction. You need at minimum 2-3 hours to experience the park. If you are visiting Santa Park with kids, it’s easy to spend the whole day here. If you need more time, the Santa Park tickets are valid for two consecutive days. 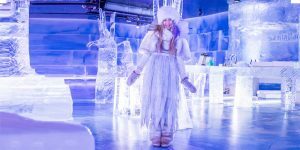 Because of Santa Park’s proximity to Rovaniemi, it’s very easy to stay in the city and make a day trip out to the Rovaniemi Santa Park. However, if you want to make your Santa Park Experience extra special, there are a few unforgettable places to stay. Have you ever been to Santa Park Finland? Tell us about your experience in the comments. Or, swing by our Facebook page and share a photo of your travels. We would love to share in your journey. The Arctic Treehouse Hotel is on the same property as Santa Park. 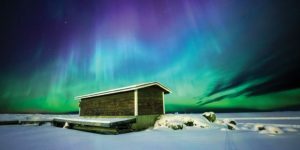 This unique Rovaniemi accommodation offers stunning rooms that blend right into the Lappish nature. The massive windows give one of the best views of the sky for unforgettable (and warm) Northern Lights viewing at night. You can check the prices and availability of the Arctic Treehouse Hotel near Santa Park on Booking.com here or on Hotels Combined here. For those looking for a cozy Arctic experience, Santa Claus Holiday Village is the place for you. Santa Claus Holiday Village offers a selection of cottages and suites that are perfect for couples or families looking for Santa Claus Village accommodations. You can even schedule a visit from Santa to drop gifts off to your cottage. You can check the prices and availability of Santa Claus Holiday Village on Booking.com here or on Hotels Combined here. 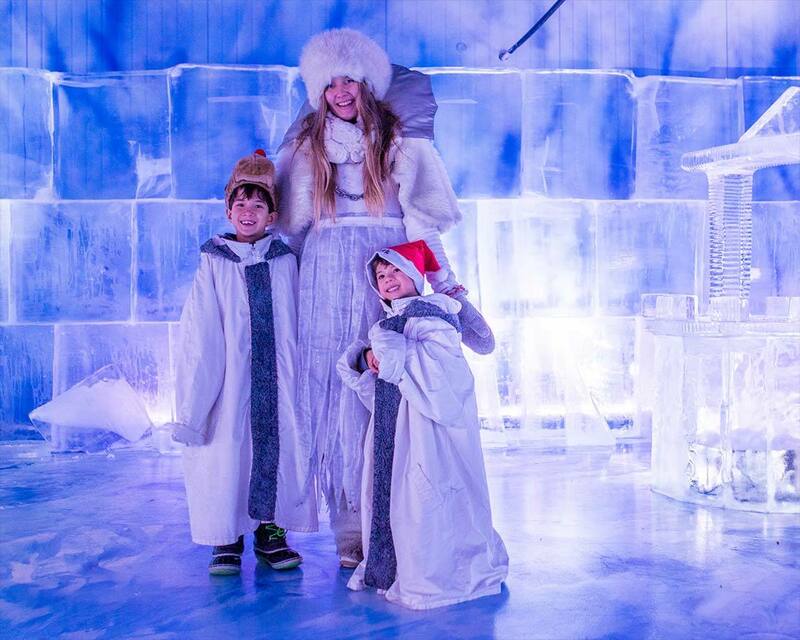 Snowman World doesn’t just offer a great winter park at Santa Village Lapland. They also offer gorgeous luxury Lapland accommodations. Their glass-walled apartments give amazing views of the Arctic skies. You can even chill out in one of their hot tub units to enjoy the Aurora. The superior rooms include a living area, kitchenette, upper loft with glass-ceiling and a private hot tub and sauna. You can check the pricing and availability on Booking.com here or on Hotels Combined here. I was skeptical about visiting Santa Park Finland. The magic of Christmas can easily be ruined by lazy or greedy marketers who oversell a destination. But, in the end, we loved Santa Park. It’s a wonderful place for kids to celebrate, play, and engage. The staff is fun and engaging. And they always seem to have the right answer to those tough Santa questions. I don’t know that I would say the same if it was just Christina and me visiting. But for families, especially those with children under 12, Santa Park is a blast. 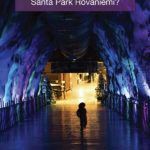 If you’re traveling to Rovaniemi with kids, it’s worth a visit to Santa Park. Disclosure: This post was made possible by the support of Visit Rovaniemi. Our views remain our own. Wandering Wagars is a participant in the Amazon Services LLC Associates Program, an affiliate advertising program designed to provide a means for sites to earn advertising fees by advertising and linking to amazon.com, amazon.co.uk, amazon.ca. Amazon and the Amazon logo are trademarks of Amazon.com, Inc. or its affiliates.